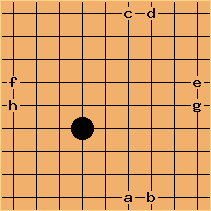 The term borderless goban could refer to the board used in edgeless go, or, as in the content beneath, Toroidal Go. The SL page Toroidal Go has more information; this page could be deleted or could use a WME. 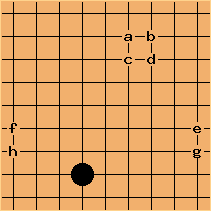 A borderless goban is a "double-round" rectangular grid unusual goban, which means, on whichever side you leave the board, you re-enter it at the opposite point. This geometry is also called toroidal, because it corresponds to the surface of a torus (donut shape). 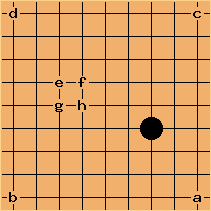 More exactly, a borderless goban can be created by defining the two end points of each row (also, respectively, each column) to be adjacent. Thereby, all points have four neighbours each. 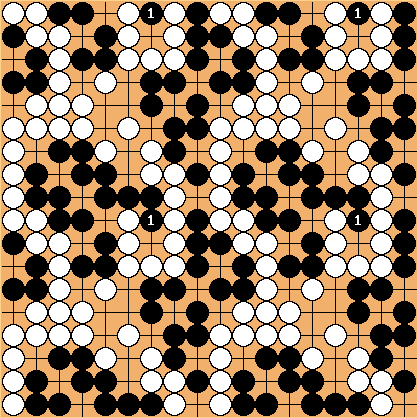 On such a board, any game position constitutes an infinite two-dimensional square crystal structure with period of e. g. 19 points, with the actual board being just an arbitrary 19x19 section of the grid. This 19x19 focus may be shifted by arbitrary steps to get other views onto the (same) game. 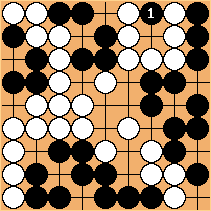 It's hard to get settled in the beginning, because with such a board no corners exist; every point is "in the middle of the board". 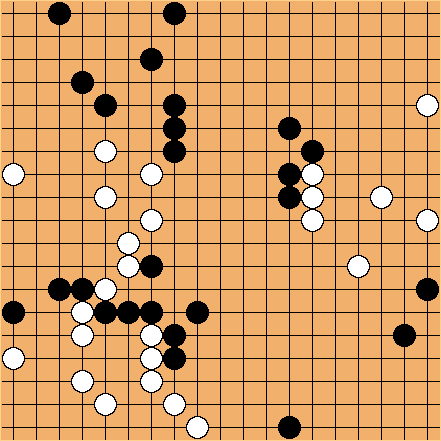 The edges of the physical board can be crossed by connections, jumps, strings, eyes, cuts, living groups, captures, ladders et cetera. Fuzzy things like aji, thickness or influence extend beyond, as well. 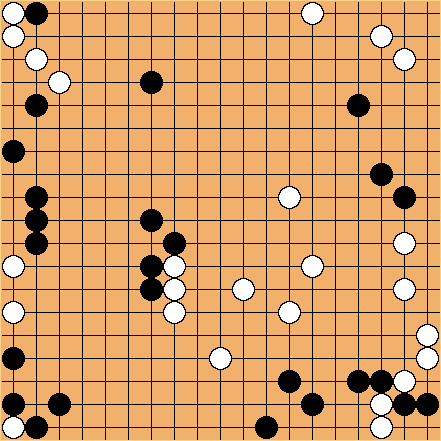 Black's groups are alive: the marked stones are live configurations.